The Parker-High School year of 1940 to 1941 had one principal and eighteen teachers. 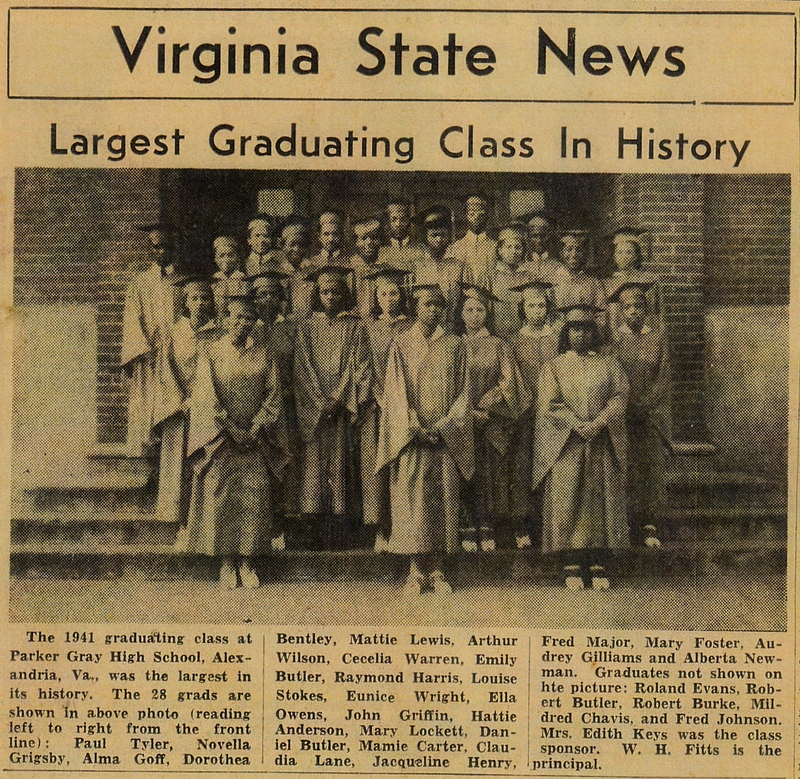 Parker-Gray High School had a large numbers of students graduating in 1941, and twenty-eight students graduated that year. 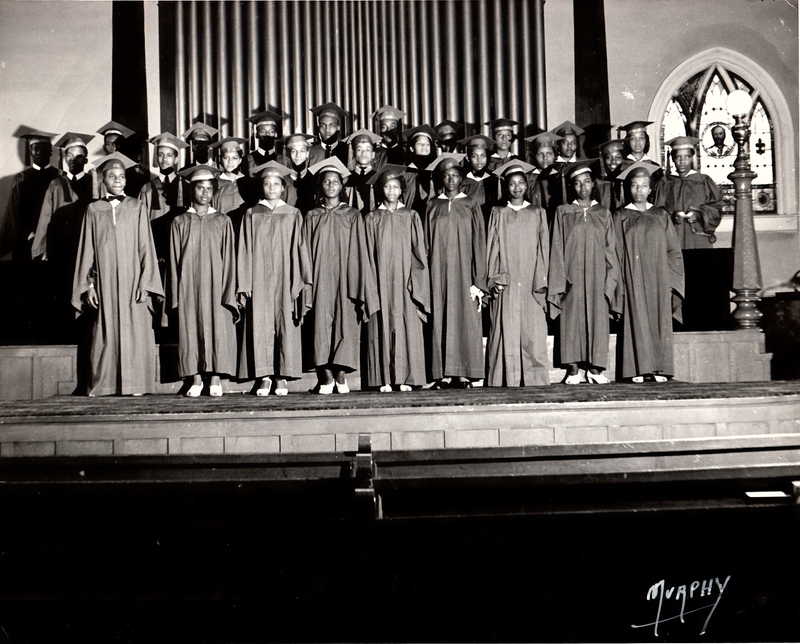 This entry was posted in Education, Parker-Gray School and tagged 1941 Parker-Gray High School, Afro-American, Alfred Street Baptist Church, Photographer Elrich Murphy. Bookmark the permalink.